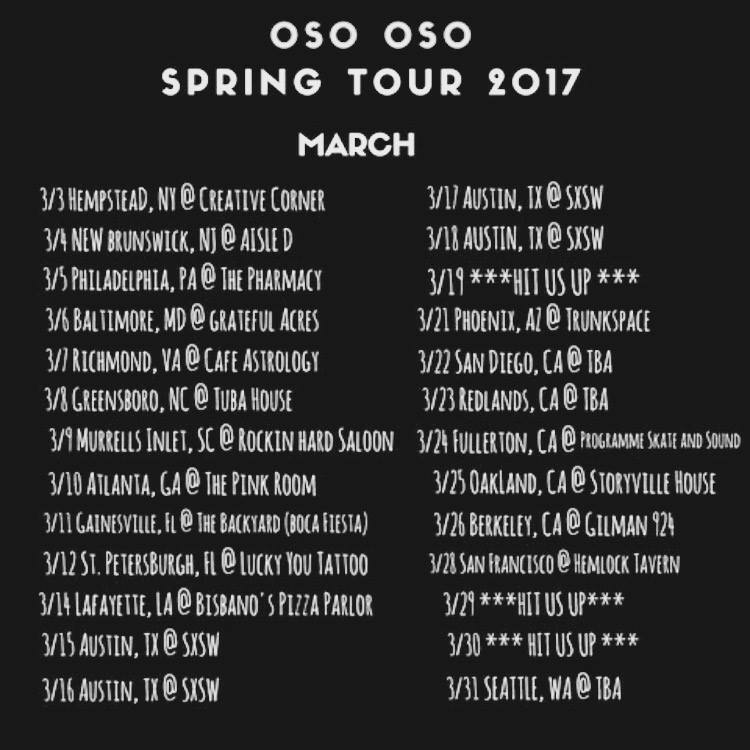 Today kicks off Oso Oso first leg of tour - tour dates can be found below as well on Oso Oso's Facebook page. The long awaited day to grab a physical copy of Oso Oso's sophomore LP, The Yunahon Mixtape, has finally arrived! Grab your copy today from the first press while supplies last. The Yunahon Mixtape has also finally arrived to digital streaming service such as Spotify and Apple Music.